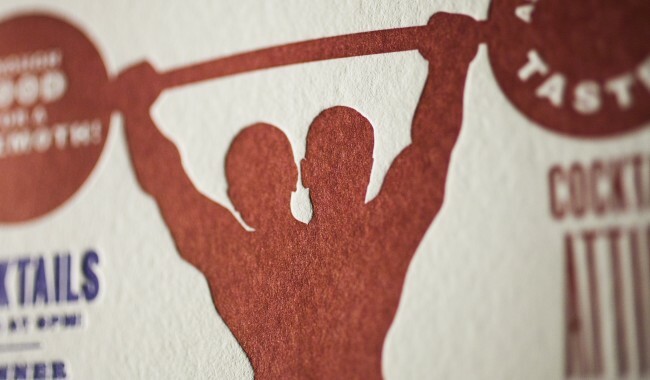 letterpress printing. Crane Lettra 110# Ecru Cover, 3 color letterpress on 1 side (152u, 193u, 2735u). printed on our Heidelberg Windmill by Lou. the letterpress invitation (5” x 7”). 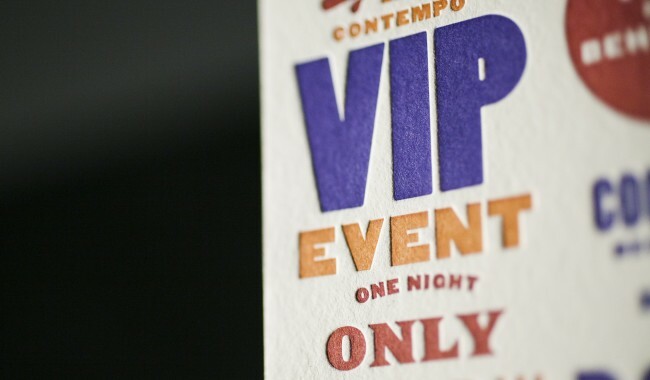 ConTempo is the Honolulu Museum of Art’s annual spring benefit. Proceeds from ConTempo support museum programming, such as art classes, exhibitions, and educational outreach. ConTempo’s theme in 2013 was an early-20th-century circus, with sideshow stars and curious entertainments. We created a three-piece invitation set, which included a fold-out poster with general event information, envelope, and an insert for the premium dinner portion of the evening, which had its own special tent. 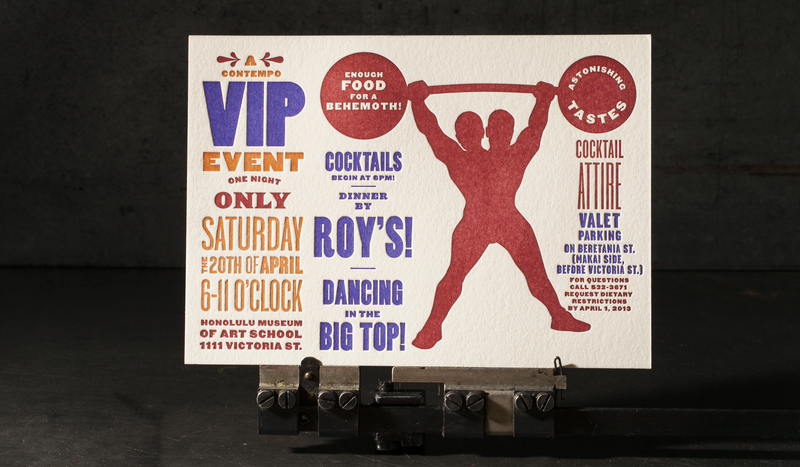 While the poster and envelope were printed digitally elsewhere, the event coordinators chose to letterpress the dinner card insert because the tactile quality of letterpress printing and its history paired perfectly with the design language, historical typefaces, strongman, and circus barker slang.